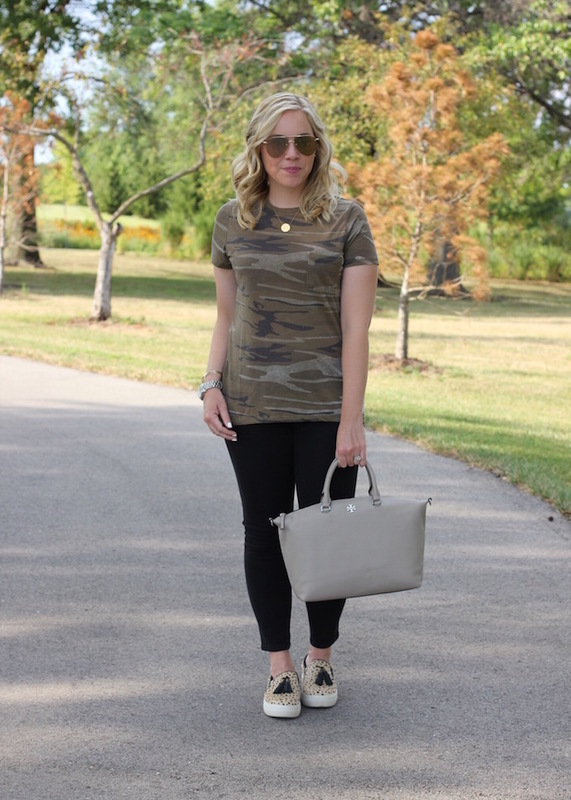 Tee: Target Pants:Caslon // Similar Bag:Tory Burch (ON SALE!) 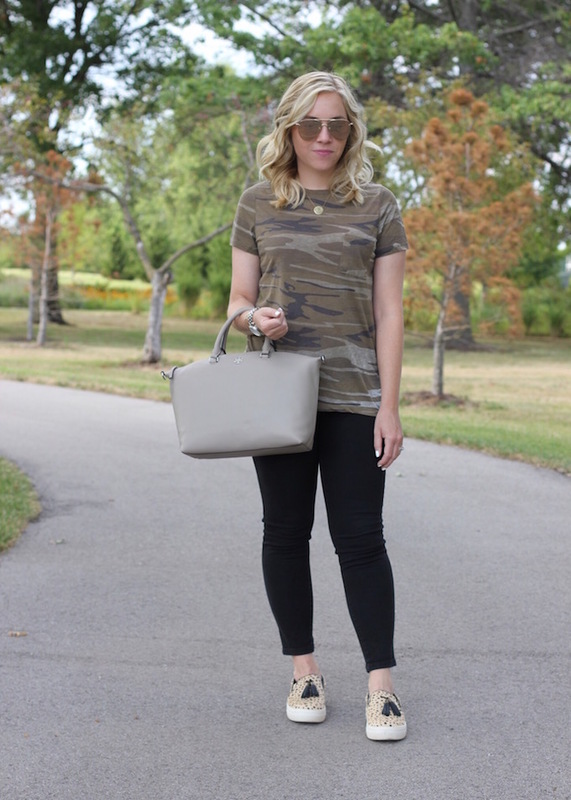 // Shoes:Soft Surroundings c/o Necklace:Stella and Dot Sunglasses:Le Specs ON SALE! I wore this for a busy day running errands and getting my classroom ready for the school year! It was comfy and a look I know I will repeat a lot! 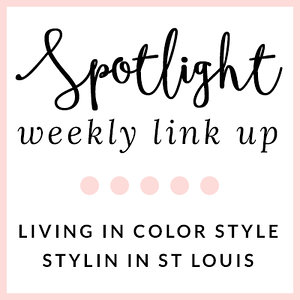 Spotlight: Our spotlight of the week is Brittany of Kingdom of Sequins! We love this bright pink look that Brittany is wearing! Her denim jeans go perfectly with it! What a great summer look! 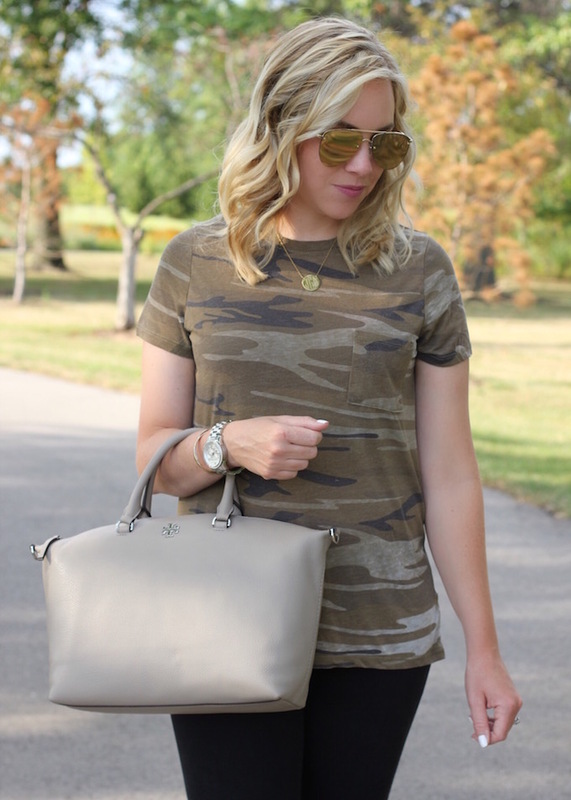 I love Camo and how you styled this tee is perfect! You look so cute and fun pretty lady! Love this casual look, this tee is perfect. Great look girl! That is the perfect touch of camo. Such a cute tee! Love it with your black and that cute bag. We were just taking photos for our camo posts that we'll be showing in 2 weeks!! Great minds think alike!! 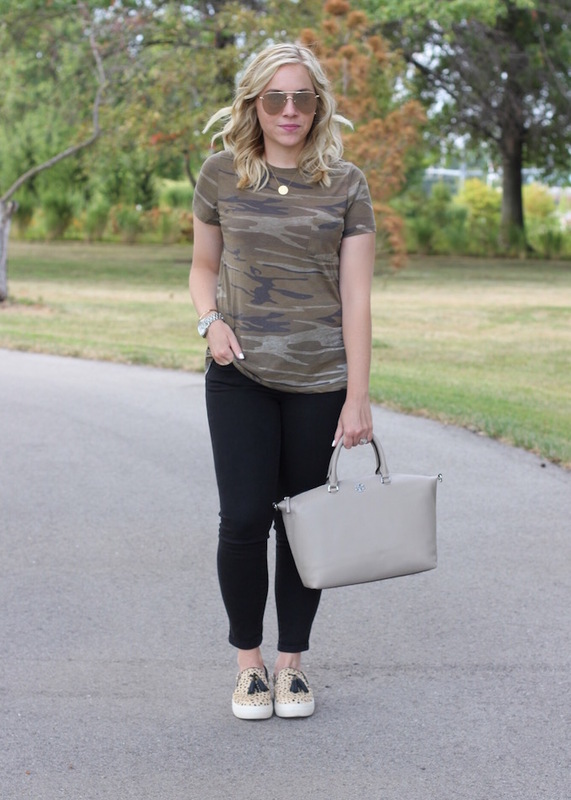 Loving how you styled this camo tee and those shoes are so cute with the tassels. 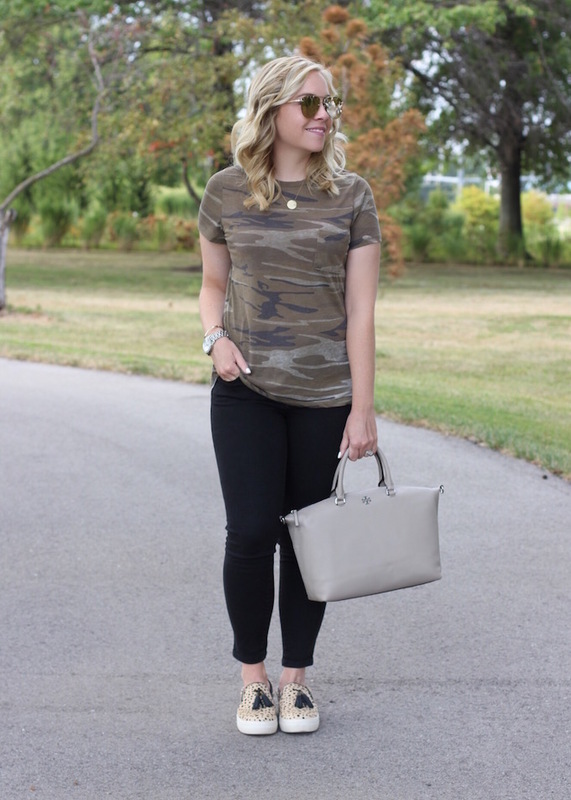 I love how you styled your camo tee! Love those cute slip-on sneakers! Cute casual look! Love those sneakers! Love this casual style. Really cute shoes too! Great look! Love, love, love your shoes! This is such a cute casual look! 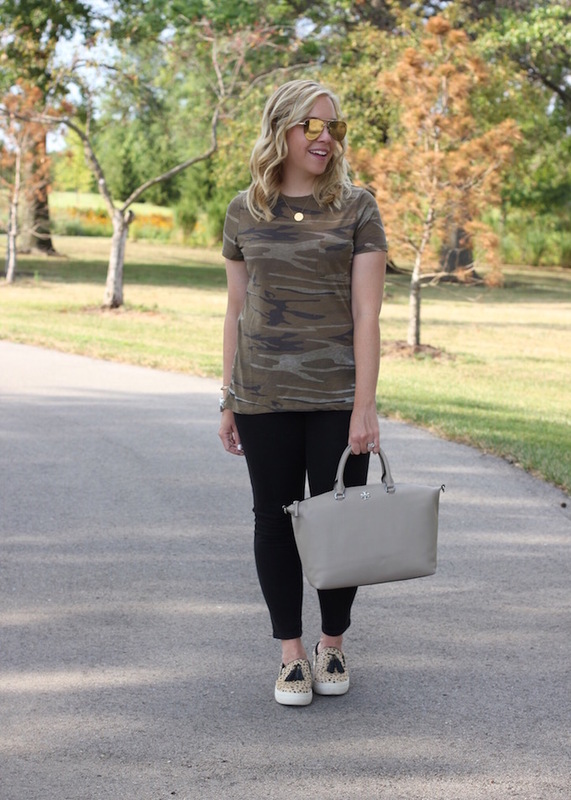 I love the camo tee, and was just thinking how I need to add one to my wardrobe! That top is so cute! Love your shoes too! This outfit is so chic and cute...I especially love your shoes! You look awesome in your cameo top and I love your flats! I've sworn camo as the one pattern that I will never see myself wear. 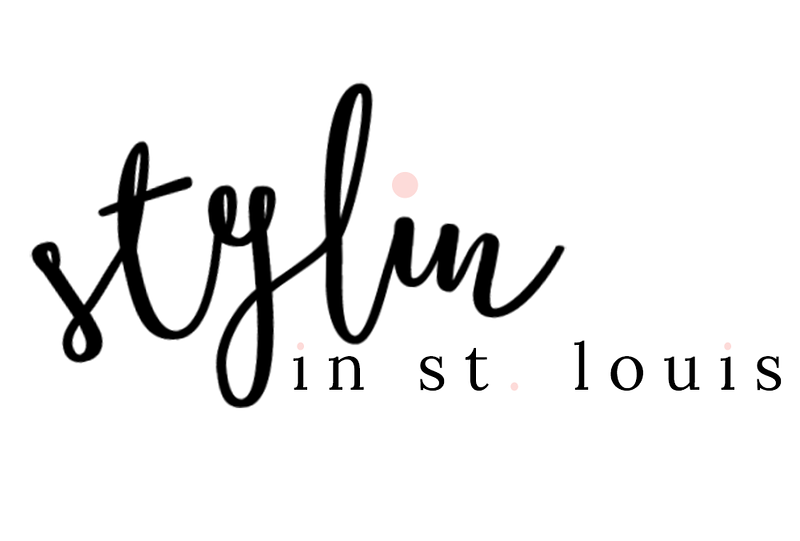 But I love how you styled it. If I were to wear camo, this tee would be the perfect choice! I love this cozy tee! Love the print too! This is a darling outfit! The shoes make it stand out though! Peace! 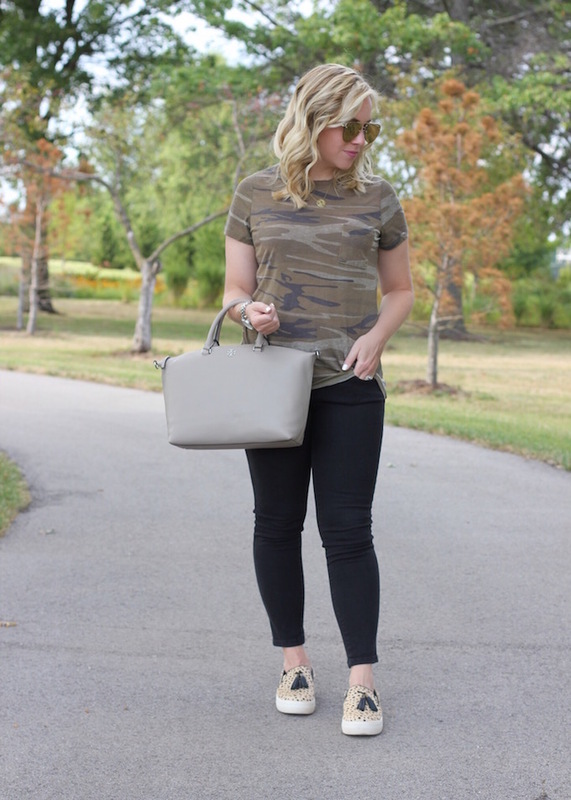 loving the camo + leopard combo. Those are the cutest sneakers!! Even camo isn't my favourite, this T-shirt is really cute. I love color of your outfit. I love camo tees as well. 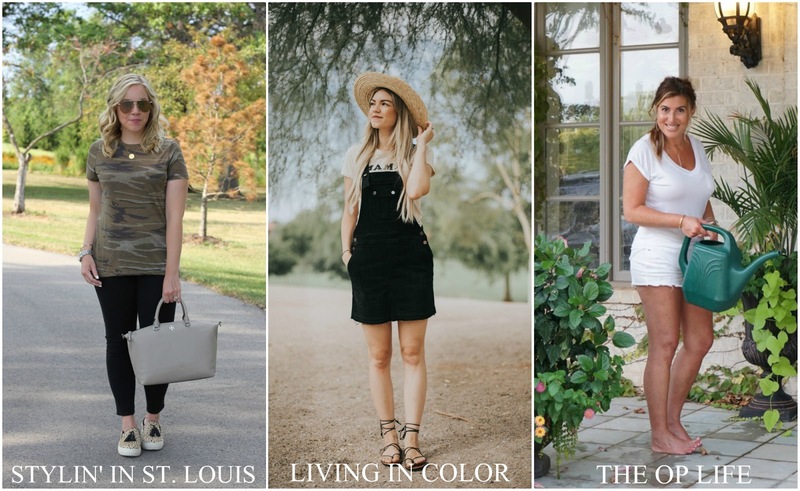 They're so easy to style and goes well with lots of types of look that you want. Definitely looks good with black jeans.